Why is this crystalline glaze not crazed? Even in the pool at the bottom? Because this is Plainsman Crystal Ice, it contains 40% silica (quartz). It also does not vitrify, so as much of the quartz remains undissolved as possible. 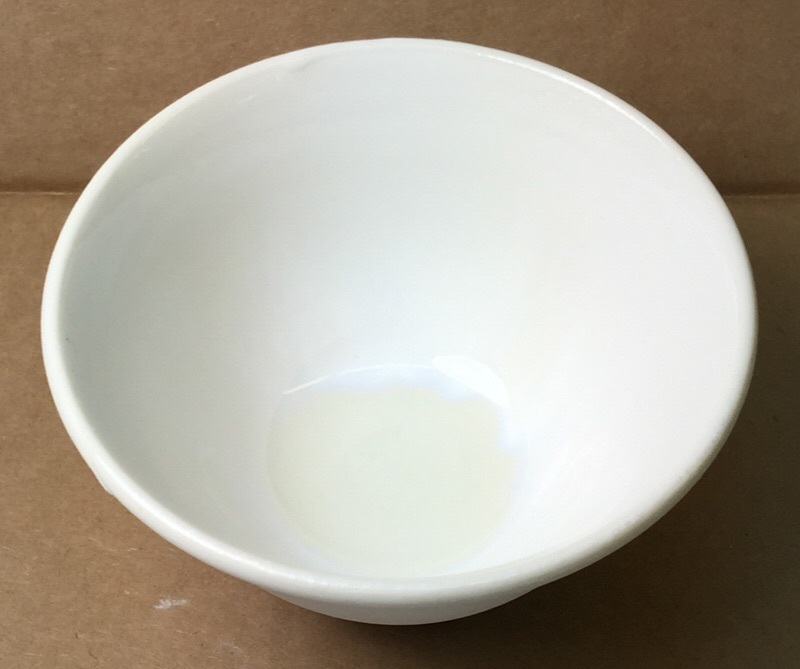 This produces a body with a much high thermal expansion so it can put more of a squeeze on the high-expansion glazes used in the crystal glazing process (it is very common for such glazes to be crazed, it is accepted as part of the process).